Madge & Dennis Coombs They were my paternal grandparents. This is their home that was located on the corner of “the lane” and Main St. in Winter Harbor, next door to Colby & Marilyn Coombs. 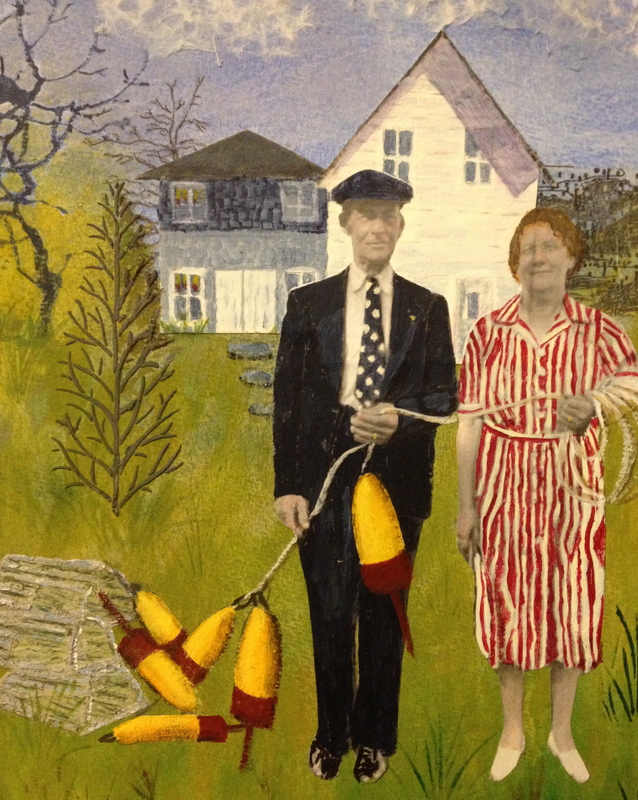 Dennis was a lobsterman and Madge worked for folks on Grindstone Neck, took in laundry and knit a few bait bags. Her full time job was keeping Dennis under control. Dennis used the shed, better known as “the shed chamber” as his place of business, the lobster business. This is where he tended to the upkeep of his traps and buoys as well as his own personal needs like strip fish and liquid refreshments. The “shed chamber” was his sanctuary. Many of the lobstermen in town had buildings like this attached to their homes and also on the shore. We did not see Dennis dressed in a suit and tie often but he was the kind of man who could be comfortable in most situations. He would often keep everyone else entertained with stories and laughter, a game of cards or sharing some refreshments in the “shed chamber”. His lobstering career was cut short due to an amputation but he kept his sense of humor and love of life in spite of the restrictions on his activities. I will always be grateful for having Dennis as a grandfather.